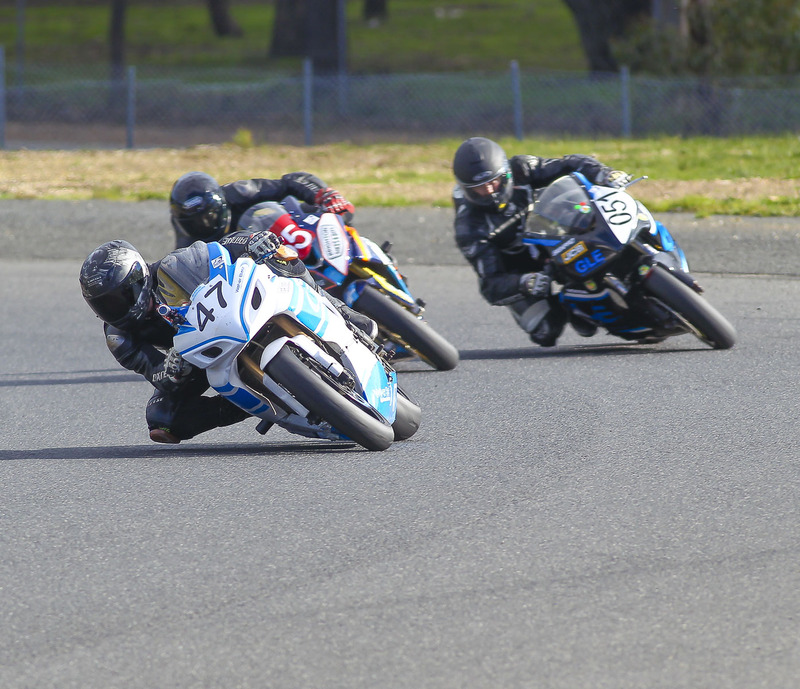 After almost 8 weeks of non stop wet and miserable conditions in Victoria, the situation reversed itself completely to present near perfect weather for the final round of the 2016 Hartwell Motorcycle Club Championships earlier this month. The mornings were still very cold, as is the norm for Broadford early August, however, after some cloud dissipated, the sun shone through and warmed things up considerably. 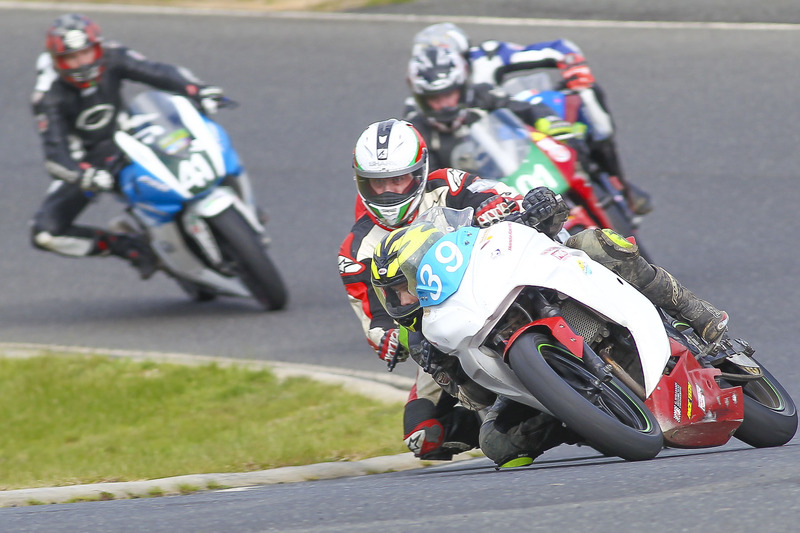 However, the weather wasn’t the hottest thing over the weekend, with some of the best racing seen all year being had out on track, and some err…, interesting off track antics also being had in the Broadford township over the two nights. The highlight of the weekend, for me, had to be Ben Gotch’s ride in the Greg Bailey Memorial race. It could only be described as insane. While he has had a great year, his form in this race was the best witnessed all season, from any rider in the entire championship. At the risk of off-siding the Lorenzo haters, his ride was almost Lorenzo-esque. From the moment the lights went out, Ben gapped the field and continued to pour it on for the entire 20 minutes plus one lap that is the Greg Bailey. His opening laps were consistent 57’s, lap after lap after lap. He was super smooth and robotically precise. Every lap was a mirror image of the previous. 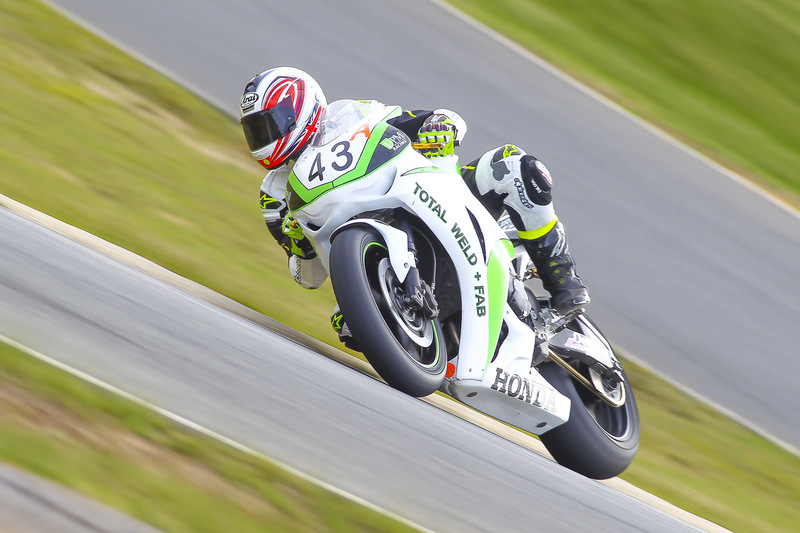 Inch perfect at every point on the track, and demonstrably quicker into several corners in particular. Ben’s entry speed into both turn one and the pit hairpin was visibly faster than anyone else in the field. He was the only rider to run it right to the edge of the track mid turn at the pit hairpin, yet still be able to pull it tight for the second apex and drive it hard into the left hander leading onto the main straight. Dean Archbold gave it his all to try and keep Ben in sight. After beating Ben in the previous races over the weekend, one might have believed that Dean could bridge the gap and reel Ben in. Unfortunately, Dean who doesn’t normally run in the Hartwell championship, had stretched the budget and new tyres were not an option. Added to that, some nocturnal activities on the Friday nigh,t plus a cooking incident over dinner on the the night where Dean managed to fill his eyes with some red or perhaps green capsicum, may have also affected his vision over the race distance. Therefore, Ben continued to stretch his lead lap on lap. Dean eventually fell into the clutches of both Alistair Loomes (Who it must be said conserved his energy over the course of the weekend, taking the opportunity to have a few Nanna naps in his seemingly comfortable pit chair in between races), and the always consistent Jurassic era rider Andrew Ord. The real race in the Greg Bailey was for second, third and fourth. 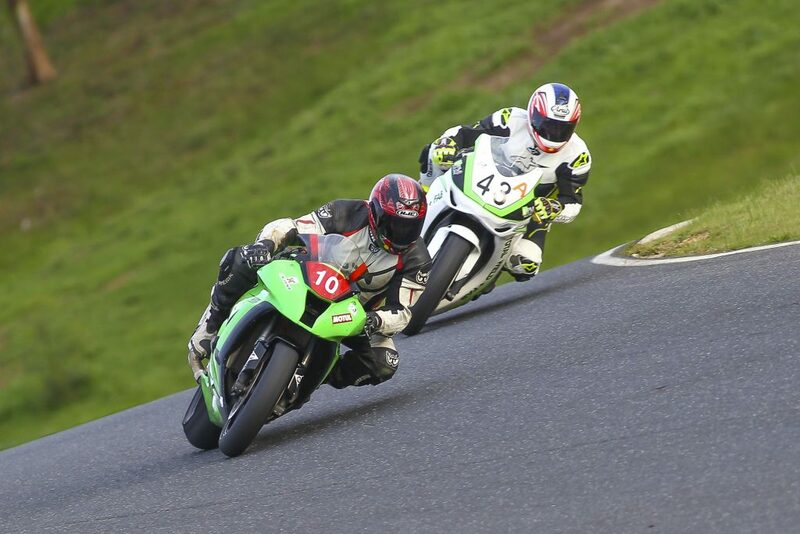 With both Alistair Loomes and Andrew Ord gaining on Dean Archbold’s ZX10 as the race went on. Dean’s tyres and Dean’s tired, both playing a part in him falling back into the clutches of Alistair and Andrew. The battle between Loomes and Ordy was a cracker also. With Andrew stalking Alistair Loomes the entire race, and at different points Andrew looked like he was going to catch and pass Loomes. However, in the closing laps, Alistair drew on his reserves gained from his Nanna naps during the weekend and again stretched the gap back to Andrew Ord. 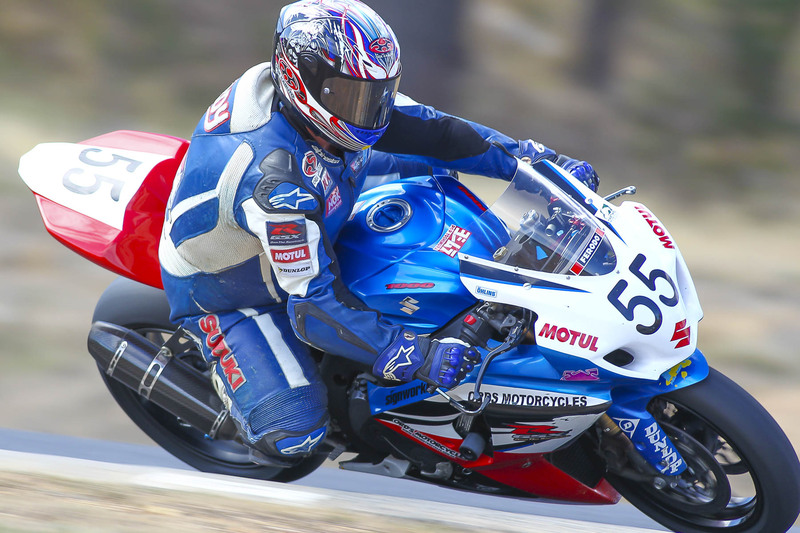 In the end, Ben Gotch took the win, lapping every other rider up to about 6th position. I may be waxing lyrical a little about Ben’s ride, but it truly was one of the best rides of the year and had me on the edge of my seat watching. As an ex racer, I’m not easily impressed and on this particular Sunday, I was very impressed. Congratulations Ben Gotch. The weekend contained some other magic moments. Catching Alistair Loomes snoozing in his pit chair several times over the weekend showed how relaxed he is about his racing. I managed to catch one moment on film, but should have videoed it as the the colorbond walls of the pit sheds were vibrating furiously as he “purred” in his slumber. Travis Baas having to make room in his motel room for a newly found “friend”, of Dean Archbold and ending up sleeping in his car…..what a champion!!! As well, at the Sunday lunch break, first time Hartwell rider and only at his 2nd meeting, Richard Hewson, won the best presented award. Deservedly so too. 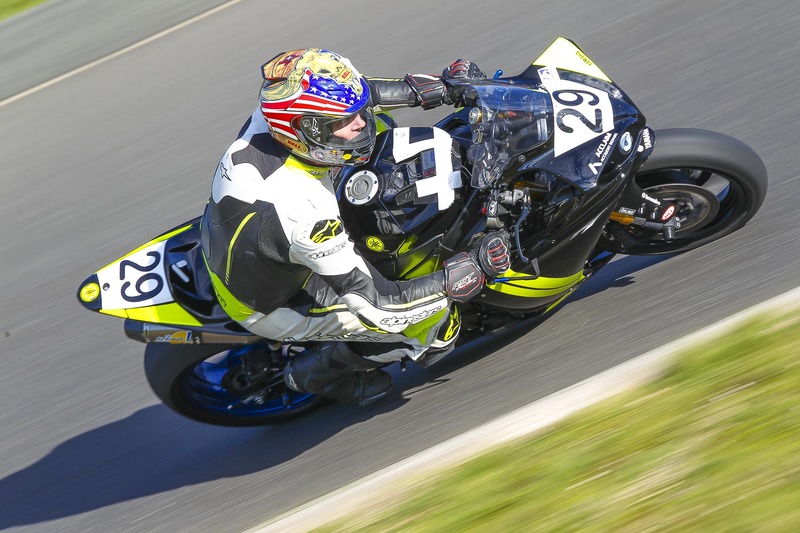 His 2012 Yamaha YF-R1 looked amazing with it’s black paint and Yellow graphics courtesy of Sign-Pro. At the same point, two raffle draws were conducted. The first being a free entry to one rider for the next Hartwell Race meeting, the winner hoping to use it to enter the seniors meeting later in the year. Last, but certainly not least and in fact one of the most important prize draws, was the brand new Suzuki kids dirt bike. The prize was donated by longtime club member and fast racer Andrew Ord of Ordy’s motorcycles and won by Garry Tidd, who says he has 7 grandkids with which it will have to be shared. Andrew is a Suzuki dealer and very generously donated a brand new 50cc kids dirt bike to the club as the raffle prize to raise money for the club and show his support. It was a very generous gesture and Glenn Nankervis, President of Hartwell Motorcycle Club, showed his appreciation to Andrew at the lunchtime presentation. In typical Andrew Ord fashion, he was embarrassed about all the fuss being made. He is a very humble bloke and was obviously uncomfortable with being made a fuss over. But it was very well deserved. One last presentation was made to birthday boy Trevor Manly. Most will know Trevor as a former Australian 125GP champion (It still perplexes me as to how the hell he could have folded himself up onto a 125GP bike, the man is 6’3″ tall). Trevor is the club coach and was there as always, offering advice to new and experienced racers alike, as well as doing what he has done for years, stirring the suspension guru cauldron, tweaking bike set-ups to assist riders in finding that little extra speed they were chasing. The Hartwell club presented Trevor with a large Iron Man travel fridge, which I am positive he will be able to put to good use. Ben Gotch qualified on pole with a low 59-second lap time, closely followed by Dean Archbold, Andrew Ord and Alistair loomes. 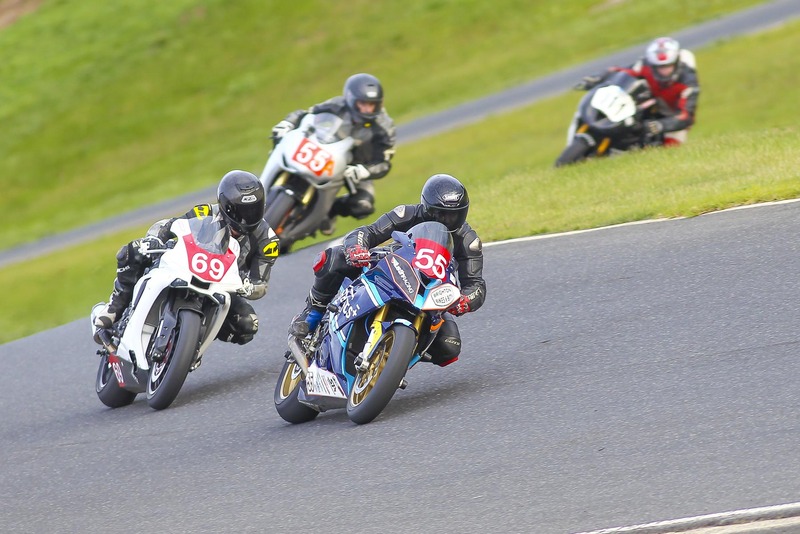 But with a championship to defend, it looked like Ben settled during the races and rode for the points required to win the year, rather than try and challenge for the race wins. A sensible decision and one which also saved his best for the sensational Greg Bailey ride he later produced. 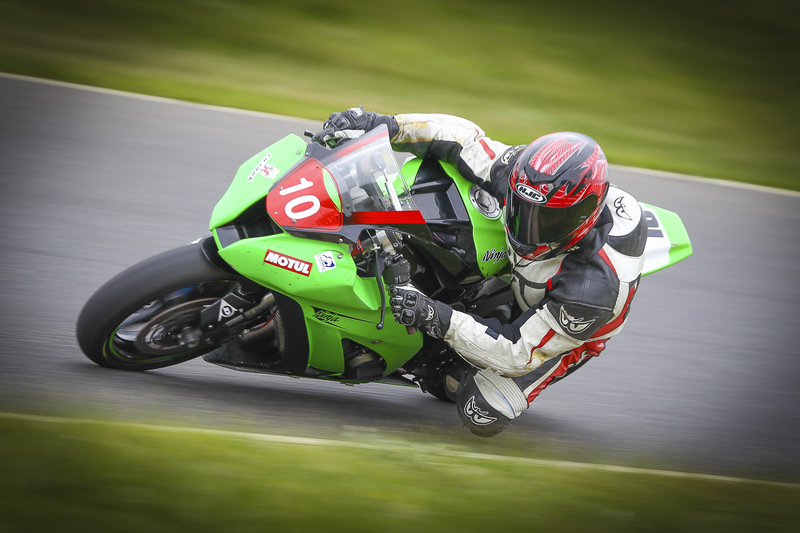 After securing the title for the year in the previous race, Ben wisely sat out the last race. Alistair loomes won the day, with Gotch second and Andrew Ord third. The championship points replicated most of what we had seen throughout the year, but with Travis Baas picking up third due to very consistent rides from each round in the varied conditions. Brian Bezzina did what was needed to win the year by riding conservatively this round. 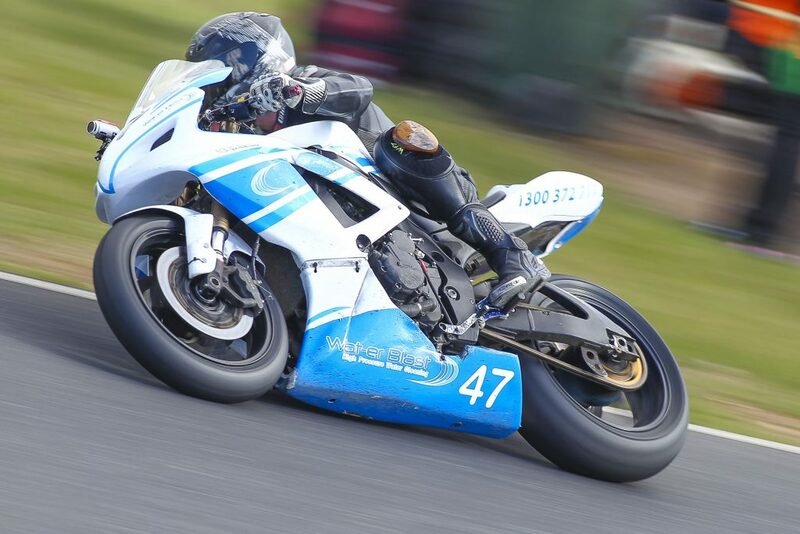 With Ted Collins again off doing national Supersport duties, this left the title fight to Brian and Andrew McNaught. Despite Andrew’s best efforts, he was unable to bridge the gap to Brian, finishing the year in second. Hartwell President Glenn Nankervis dusted off the riding gear and managed to secure third place for the weekend, showing that he still has the speed to put it up there with the front runners. But obviously, the time constraints of being the President, simply doesn’t allow Glenn to run a full season. In the absence of the championship leaders, Luke Croston, Michael McGuire and John Cartwright all had their moment in the sun. McGuire and Cartwright both had fantastic weekends, with ex pat Irishman Michael McGuire in particular doing well. 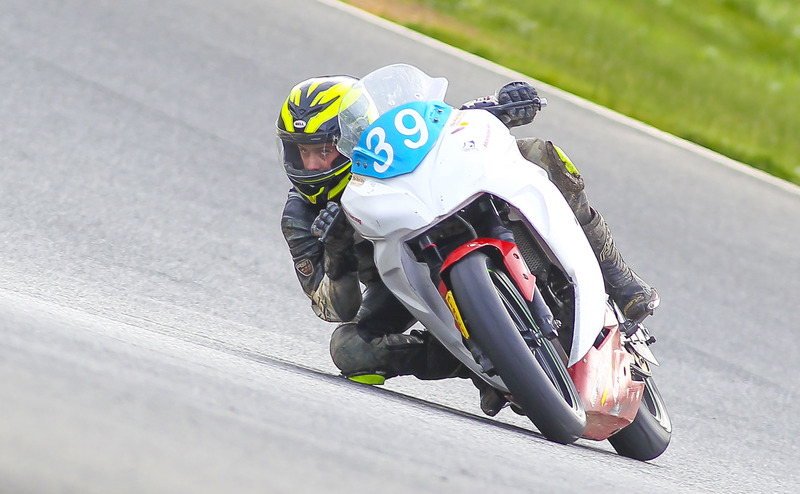 Michael’s laid back approach to racing, saw him otherwise detained down at the toilet blocks during qualifying, so he had some brilliant rides through the field to score points and also produced a Personal Best laptime over the weekend. Another to have a great weekend was Ex-pat Englishman John Cartwright. 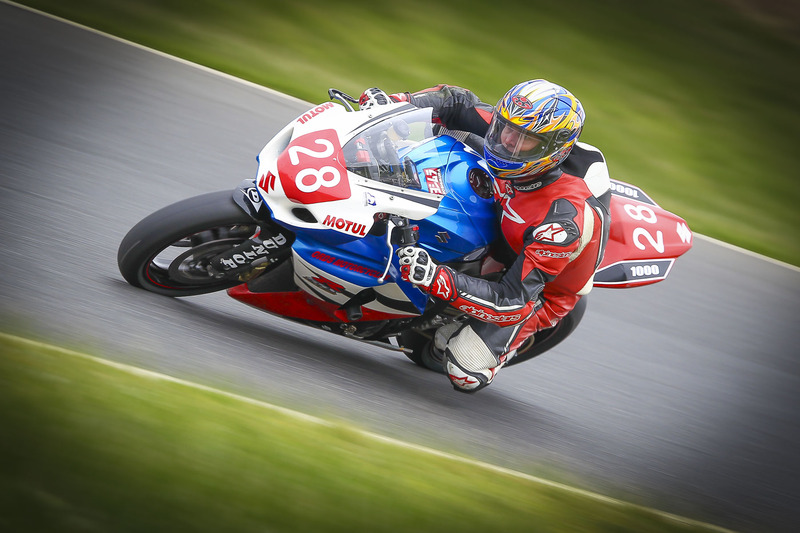 John was a rider in the British Superbike championship in the early 2000’s, but retired after a nasty crash caused some injuries. So it’s great to see John back out there and riding well. 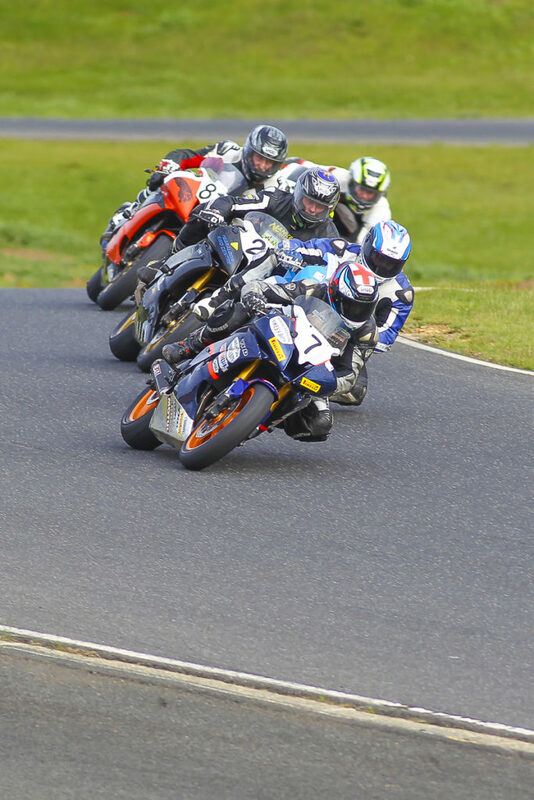 Luke Croston was also riding well and produced the fastest lap to earn his three first places and one second place for the weekend. 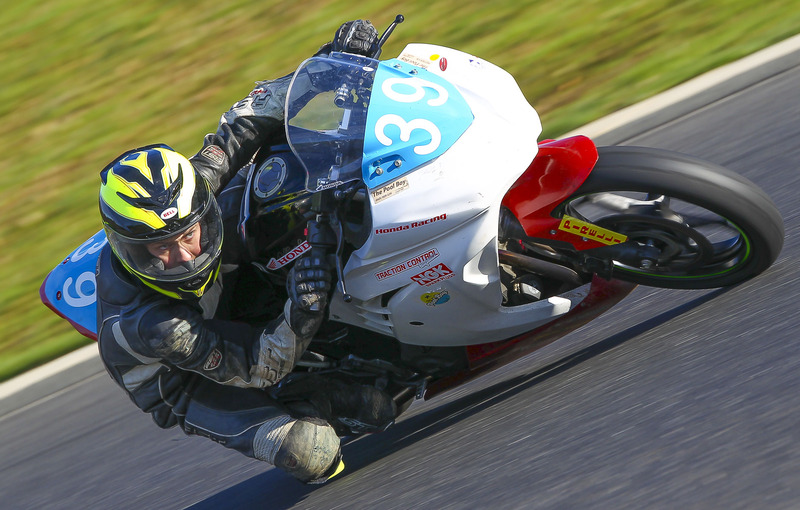 Jamie Kennett rode brilliantly and nearly beat home all the 1000cc bikes, crossing the line 2nd overall and first in class, punching out high 60-second times race after race. 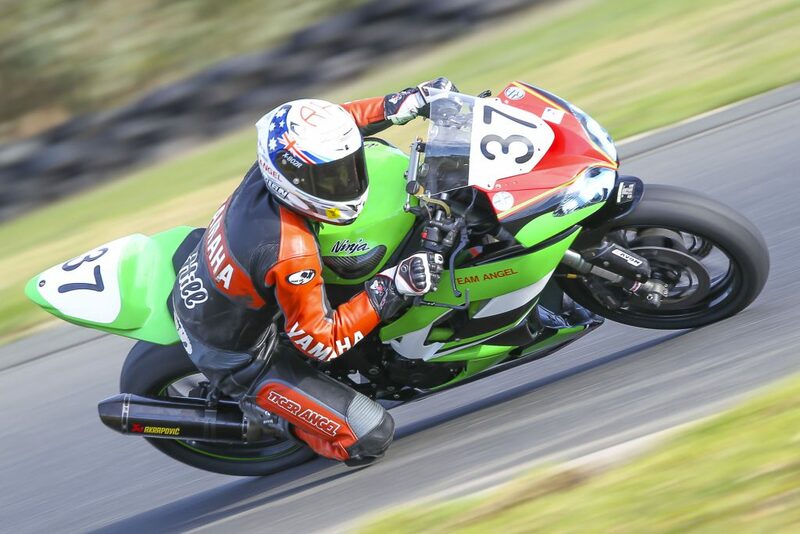 He had been a hard man to beat everywhere except he Phillip Island round. 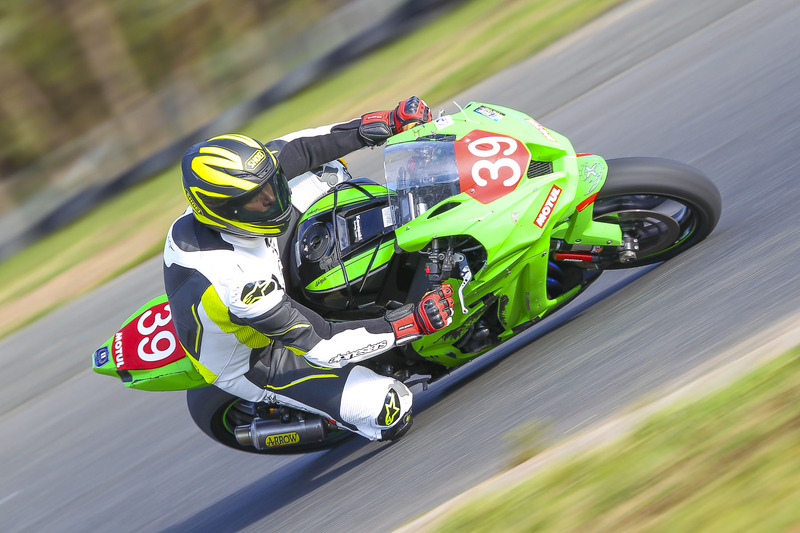 Apart from that, he scored a perfect result in the 600cc novice class, winning every other race. Luke Jones also put in great rides over the weekend and took 2nd place in every race over the weekend. Young junior Scott Nicholson, who again was running triple duties across the 300 production class, Junior class and the GP category, was all class. Scott clean swept the round and secured the 300 production championship by well over 100 points. After a crash earlier in the weekend into the left hander onto the main straight left him riding with a rather sore knee, Scott did not allow the injury to effect his results and rode the wheels off his little Kawasaki Ninja 300 to take each race win, fastest laps and the full 100 points for the round. 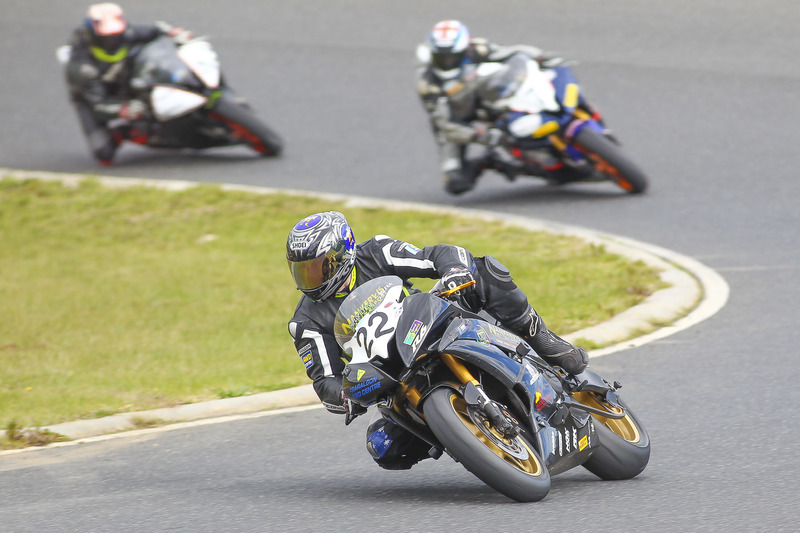 Graeme Koschmann tried hard to peg him back, but Scott’s speed was just too much and he had to settle for four second places and take the 80 points. This left Scott to take the series win, with Tim Taylor taking second place and Daniel Werner taking 3rd for the year.